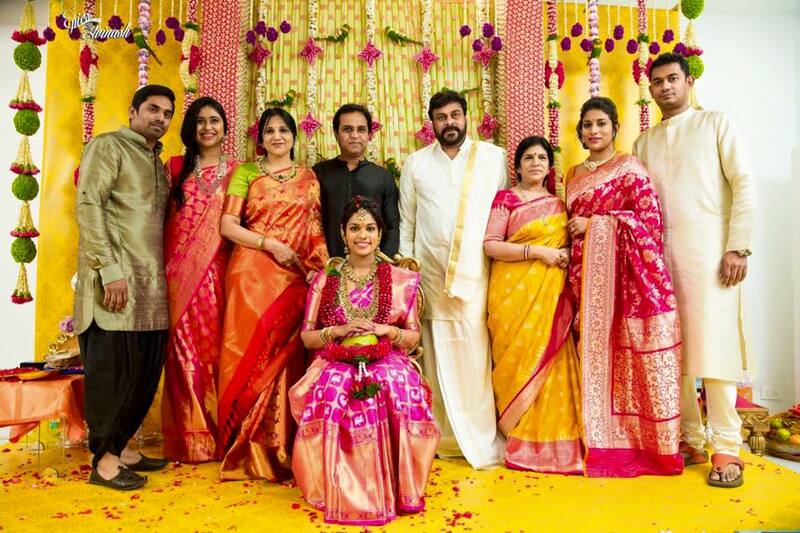 Mega Star Chiranjeevi's Daughter's Pre-Wedding Celebrations has begun. The celebrations will be long as the family leaves for Bengaluru on Friday for the marriage on March 28. Srija was earlier married to Sirish Bharadwaj without her parents' consent and it ended in divorce. She has a daughter from that marriage.